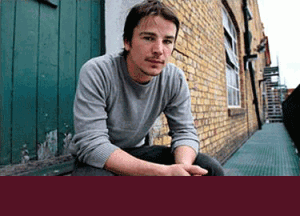 Josh Hartnett has been interested in educating others about how we can do our part for the environment and, in how we can help others that are less fortunate for as long as he can remember. Raised in St. Paul Minnesota, Josh was a strong supporter of the late Minnesota Senator Paul Wellstone who was a tireless advocate for the environment. He also became a spokesperson for Global Cool travelling to 10 Downing Street to meet with Tony Blair, again to support this cause. He has supported the Food Bank of New York City,. and worked with Dramatic Need to lend a voice to underprivileged children. He has worked with Bono and Stella McCartney for Red Nose Day in the UK which raises funds for famine via Comic Relief. He has donated to many charitable organizations including the FXB Six Villages program which is a grassroots program that creates self sufficiency where communities have been devastated by poverty and AIDS providing economic, medical, nutritional, psychosocial, educational and vocational services.